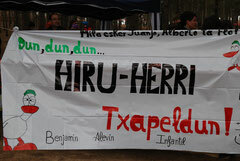 Resultados Cross Federado y JDN - Atletismo.Hiru-Herri A. T.
JUVENIL FEMENINO y MASCULINO ¡¡Campeones!!. A pesar de la mala climatología para desplazarse, con algún tramo dificultoso de Pamplona a Tafalla, en Tudela hemos disfrutado de una buena mañana de Cross. 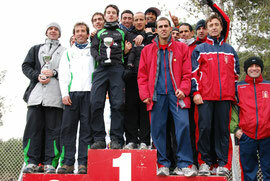 A nivel de Equipos: El MASCULINO ¡¡Campeones navarros! !, el FEMENINO¡¡Subcampeonas!! y JUNIOR MASCULINO ¡¡Terceros!!. A nivel Individual: VANESA PACHA ¡¡Campeona Navarra! 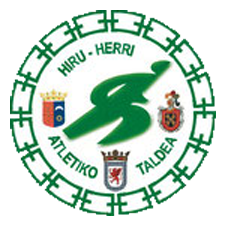 !, ANTONIO CASADO¡¡Subcampeón!! y ION ANDUEZA ¡¡Tercero Junior!!. hey there and thank you for your information � I've certainly picked up anything new from right here. I did however expertise a few technical issues using this website, as I experienced to reload the web site lots of times previous to I could get it to load correctly. I had been wondering if your hosting is OK? Not that I'm complaining, but slow loading instances times will very frequently affect your placement in google and could damage your quality score if advertising and marketing with Adwords. Well I'm adding this RSS to my email and could look out for much more of your respective intriguing content. Ensure that you update this again very soon.